This is almost a decent comment if I don't count stating your opinion as a fact. You might want to apply some ointment to that burn. The fun thing is that my comment applies to itself as well :) Didn't mean to be an asshat but sometimes I just get a bit tired of people stating their opinions as facts. 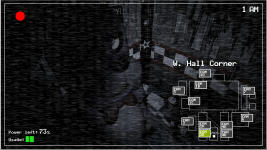 Explain to me why 5 nights is so good without telling me that it's scary, because, in my opinion, it's not. I don't think it's scary either, the reason I like it is because it's one of those games that's a challenge, but not impossible, and because i have worked it for about an hour, I show off to my friends about how i can get past night 6 without dying! Thank you, that is the perfect review I was looking for. 5 nights was very interesting for the first 30 minutes. After that you realize it's only a challenge and in my eyes a very, very boring one. Ignoring all of the different security cameras in order to win takes away too much to have fun with only a few things to do. Another good reason is because of the story that paces itself very well but at the same time not telling a lot to spoil it's mystery. I swear it's a great look-up on its own. Just watch the 2 game theory episodes about it and see how great it is. The original I found to be quite scary at first. After Night 4 however the anamatronics became too hard for the game to be scary anymore. The sequel is even worse in that regard because of a) the stupid music box and b) the fact that there's too many anamatronics. Are they good games? For clever design and (for the original at least) some great jumpscares, yes. Anything else, not really. The third game looks promising though because there's only one creepy-looking mothertrucker right now and the atmosphere looks facking creepy and a bit scary. I was afraid for a sec there that Five Nights at Freddy's would top this list. A good game, maybe, but indie of the year? Robocraft certainly doesn't deserve this title either, but it's there right? Robocraft самая крутая игра в мире!!! 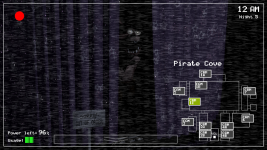 Whether you like it or not, you can't argue with Five Nights at Freddy's success. Sure it's not the best game in the world but it definitely made an impact and that alone makes it a good game. As a fan of the game, I'm glad to see it made the list, along with Insurgency and Robocraft, two other titles I enjoy. I kinda claim its success down to Youtube bait genre of horror games. The same can be said for a huge amount of Indie games though, most people only discover them by the hands of Youtubers. Isaac... Hm, poor flash game so high? I was playing this and some games online are ten times much better. Still I have no idea where is source of this title's popularity??? The binding of Isaac was a flash game and ever for it being so was still extremely complex. The Binding Of Isaac: Rebirth is the game that you see up there taking 5th, which is no longer a flash game and has more content and even more depth than its counterpart. I'm glad for INS. 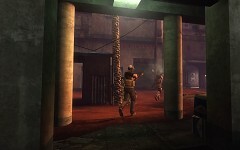 Although I'm more fond of old firefight and MOD had more better maps, Standalone is very good and fun game. But Planetary Annihilation didn't deliver imo, it still has bugs and feels unfinished. I still have preformance issues in it and it still needs a constant connection to the internet to play it. A connection that some of us can't keep. The UI is a mess still, The Commanders are worthless at every point but the very early game where they are used to build. The navy is a joke. And Uber has also left this game for a new one which I will not support considering how they handled deving this one I have a friend who agrees on not supporting future games based on how they left this one while a other one likes the game somehow with its unfinished state even tho Sup com 1, sup com FA hell even Sup com 2 is better they actualy finished there games and polished them. R.I.P Gas Powered Games, all thos people that made 2 very good RTS'es and one decent one and then they get bought up by a company that will squander their talents. 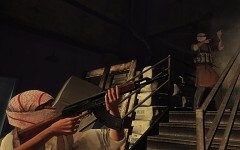 except for insurgency and this war of mine, those deserve it. Congratulations Insurgency! 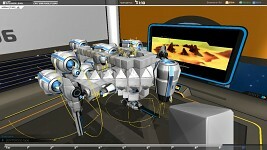 2nd place is like a win, Robocraft looked unbeatable! Insurgency definitely deserves to be in the top 3! and so does Five Nights at Freddy's! Both 1 & 2! I still need to try robocraft, though. All my friends love it! This War Of Mine shocked me in how good it was, and I think that it deserves first place. No question about it. The only other game here that I've played is Insurgency, and that really got my goat. Pile of you know what. Congratulations to everybody on the list and also to the games that are not included in top 10. **** yeah! Insurgency FTW! congrats to all of the NWI developers and good job to the other contestants. A lot of these don't even come close to being as good as Kenshi, it should have been here. i'm disappointed, was really hoping for Fight the Dragon, Dungeon of the Endless and/or Crypt of the NecroDancer being on the list. Crypt of the NecroDancer is on the Editors Choice, already knew about Depth but have not seen the gameplay video yet. Planetary Annihilation was a watched title by the Quantum Forge team, we really liked the idea and the concept, and we wanted to see the game succeed. Great work to all the contestants it gave us all something to learn from and enjoy. If you're like me and develop indie games, I'd highly recommend you research these developers, from the way they form their media and IndieDB page, to how their websites look. It made me think about how well they made it all look. Anyways, great contest! at all. That is ridiculous. Yes they are. Steam and Valve had nothing to do with the development of the game. Steams only role is a way to publish the game, just like Game Stop does/did to other games. Hey, that Scott twitter page you linked in FNAF is a fake, its not the real Scott. Insurgency should top the list IMO. I love it,probably the most intense experience I've had for a long time.NWI tries really hard and it shows. Realism and fun enough to be addictive. So addictive I created a Greek community for it on steam! Been playing for a year and still has not gotten old. Congratulations everyone! Especially Renegade X! 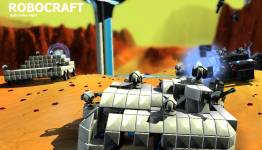 Woooo robocraft!!! I never thought it would come firs as it is one of the most troubled games ever (it's I'm alpha and it has already has had a DOSS hack over Christmas that brough the entire game servers down) but the game is the most enjoyable I have EVER played. Well done TC 10 man dev team u deserve it!!!! As for me This War of Mine is the best.